The Frog Graham Round is a great and increasingly popular challenge. 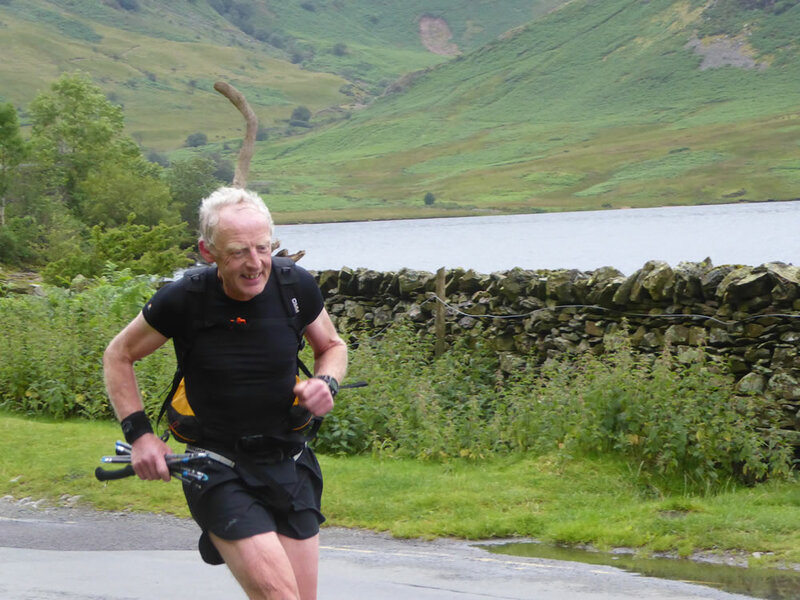 The route is very elegant (down to the creativity of Peter Hayes) and allows you to experience the Northern Lakes from land and water. I had heard of it a few years ago and it was always on that “list of things to do sometime”. My decision to have a go this summer came after a winter’s consistent swimming (for me that meant two times a week). The reason for all the swimming was the need for upper body exercise and rehabilitation after a very bad accident the previous September. By the time the summer came my main concerns about completing the FG were more to do with other ailments not related to the accident, such as bad toe joints (bunions), and nagging hip issues. 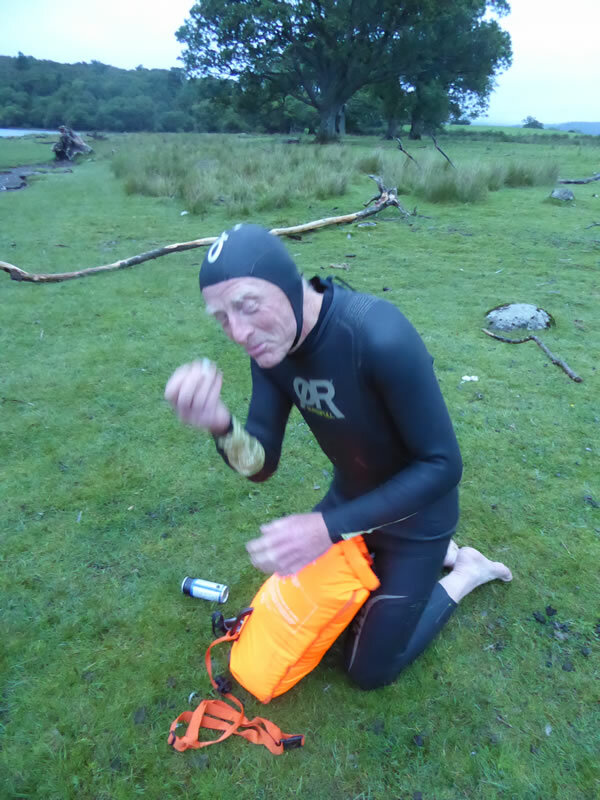 A 3.00 am start with a reasonable forecast (light winds and early rain clearing) seemed like a good option, so the first swim would be in daylight. Skiddaw (typically) seemed to have a weather system of its own and gale force winds and heavy rain made it rather more challenging than I was expecting. My Garmin recorded a teperature of just 5C, with wind chill that is pretty cold! In my dreams I was expecting a spectacular sunrise from the summit, but a slow receding of the darkness to a dull, dark morning was the reality! It was a relief to descend towards Bassenthwaite, and at the Church by the lake I was met by Marcus, who had kindly agreed to spend the day checking on my progress and helping me in particular getting my wetsuit on (I find the zip almost impossible to do along with my slightly reduced flexibility). For the first time I now used my “swimsac” to carry all my running kit, pole, Hoka running shoes, OMM pack, food, waterproof. It was a tight squeeze, but done methodically it does fit in. As soon as the water was a foot deep I lay down and pulled myself into the lake. The warm water (warmer than the air temperature) was very pleasant, and I realised the swimming would actually feel like a rest compared to the tough mountain running sections. 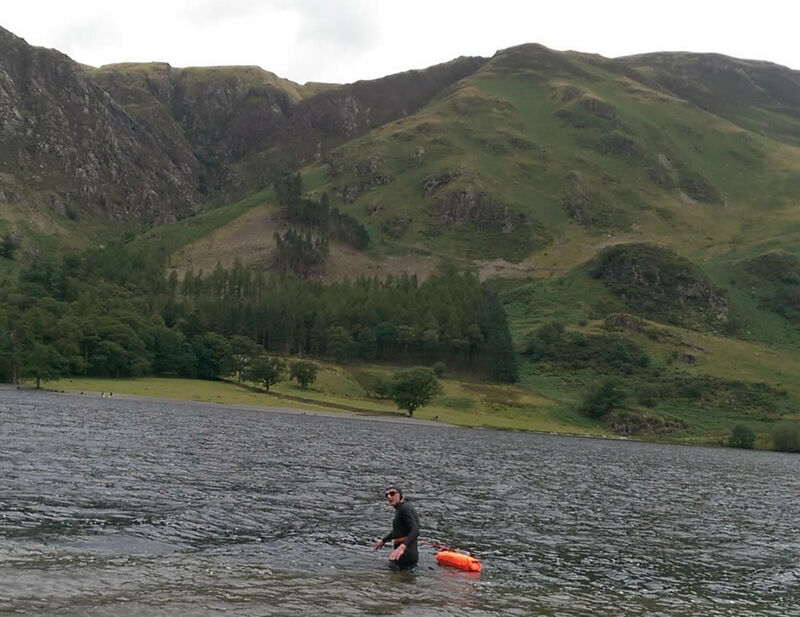 Marcus dashed to meet me at the other side, so he could help me wash the wetsuit to prevent transfer of any of the invasive species in Bassenthwaite to Crummock Water. Stuffing the now clean wetsuit in the mesh at the back of my pack I set of over the Whinlatter section with the clouds still shrouding the mountains and the rain still no clearing. The section to Whinlatter pass has a real variety of terrain with some great single track paths, some easy descents on vehicle tracks but also some tough boggy trackless sections which are thankfully quite short. My GPS kept me on the correct line though, pretty vital it was as I was unfamiliar with most of this, and there are some junctions that you would easily miss. After the road crossing there is a long slog up Grisedale Pike, a grassy ridge, a tumbledown wall and a few sheep. Visibility was still poor and I had no sense of making much progress over this section. When Eel crag loomed out of the mist it looked very menacing and quite a challenge with the rock still wet and water streaming down the slabs and gullies (the previous day had seen some very heavy thunderstorms and everything was pretty sodden). That section is not as bad as it looks though, and on the easier ground above Eel crag I made good progress with the first sign of an improvement in the weather lifting my spirits. It's a great section of running down into the Buttermere Valley, some shortcuts are possible to get onto Rannerdale Knotts, but with the bracken covering the open ground it's easier to stick to the main paths. I slipped a couple of times on the descent from Rannerdale Knotts, bashing my elbow and jarring my back. You do have to concentrate on the FG descents, they are steep and rough on places! Marcus was there to meet me again, I was ahead of the vague schedule I had given him so he was a bit surprised to see me so soon. With the wind coming from the NW there was a little bit of choppy water on the lake, but nothing too problematic. I enjoyed the scenery with the lake level view of Red Pike and High Stile and of course that vicious climb of Mellbreak. Looking into the clear water the rocks of the West shore loomed out of the darkness and all too soon I pulled myself out over the rocks and onto the grassy banks of Low Ling Crag. The sun was out now (for a while at least) and I soon warmed up on the relentless direct ascent of Mellbreak after the relatively cool water of Crummock. I had reccied this section and that definitely was a benefit, there is some rough ground to cope with and it would be easy to waste time and energy wading through bracken and heather, or worse still boulders covered in bracken and heather! Red Pike and High Stile were ignoring the weather forecast which promised clear summit and superb visibility. 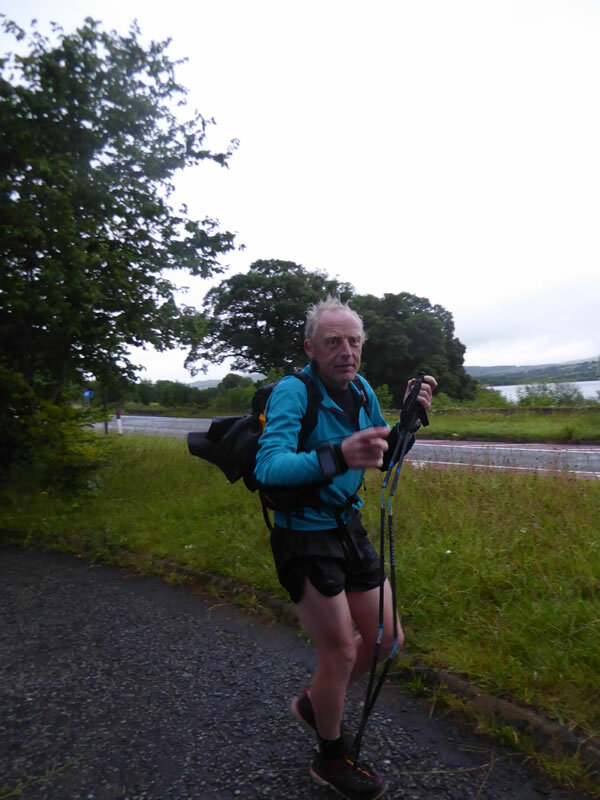 I felt rather underdressed in shorts and baselayer compared to the walkers in full jackets and hats! At least I had a wetsuit to wear if I did start to get cold! More tricky navigation and rough ground lead to the shortest swim of the round, from Horse Close across to Hassness. Well practised at the transitions from run to swim and back to run again I all to soon found myself on the steep flanks of Robinson, it's the last major climb of the round, which I was thankful of as my legs were begging to complain now, I was thankful of my poles on sections like this. Robinson completed it should feel like an easy run to Catbells, but I was starting to suffer with tired legs and a rather severe stomach ache (lake water ingested?). Whilst others were having a blissful day on easy walks in the now perfect visibility, I was experiencing a rather different and far more uncomfortable reality. The crowds on Catbells must have thought me an odd sight, a fatigued and probably slightly hunched figure stumbling over the summit with a wetsuit strapped to the back of his pack! I was now certainly looking forward to my next “rest” in the Lake. 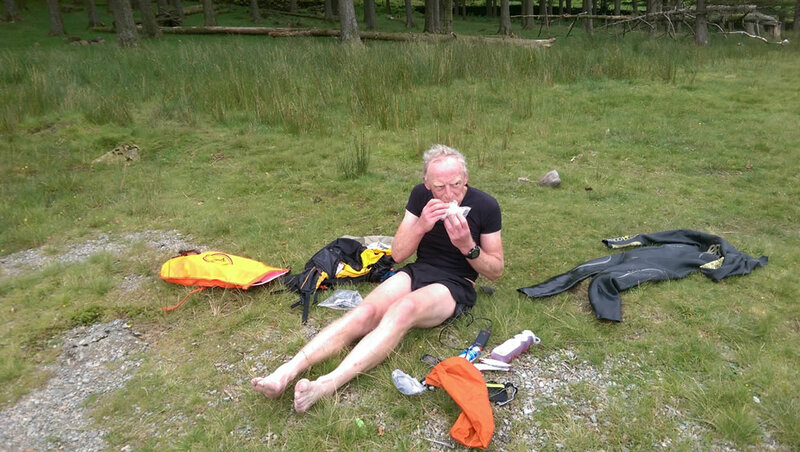 I would have preferred to swim all the way back to Keswick if that were possible, my legs were done for! Otterbield, St Herberts and Rampsholme. The trio of islands makes an elegant journey on this final swim. 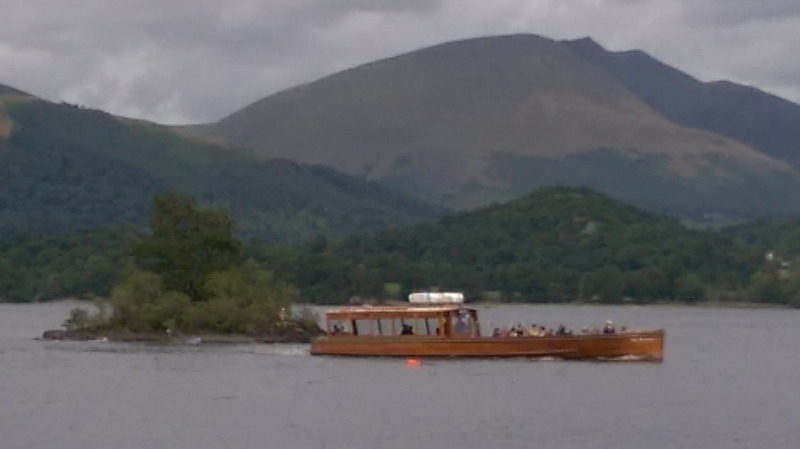 The water taxi came rather close on the swim to Otterbield. I managed to do a wave of some kind to those on the boat waving to me. Clambering out onto each island is one of the most ungainly things I have ever done. In the end I just crawled and slid, more like a slug than a frog I’m afraid! 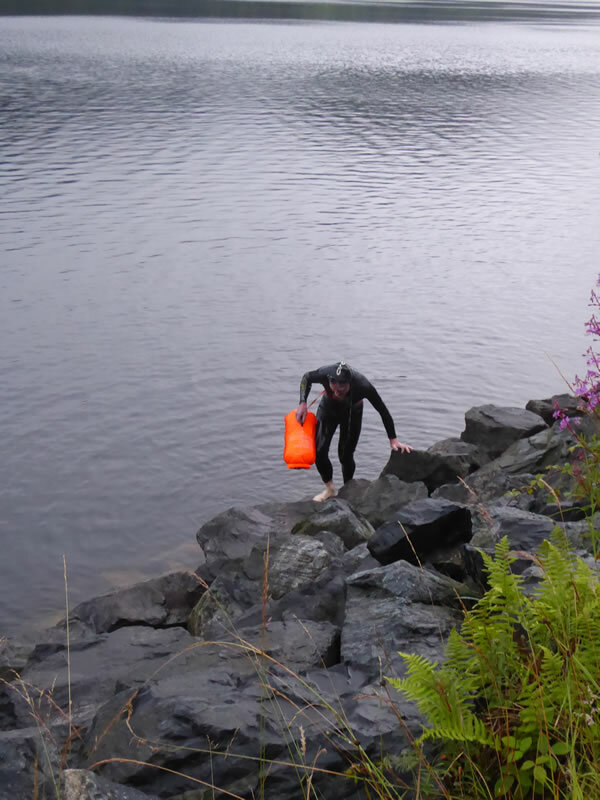 I was expecting the water in Derwent to feel warm, but in my fatigued state I was getting very cold even with a wetsuit. My last desperate clamber to the far shore over rounded slimy rocks was best not witnessed by any onlookers. Even the slight breeze of the lake was cooling me down and I found a sheltered glade to take my wetsuit of as I shivered in the late afternoon sunlight. A quick glance at my watch indicated that I may just get under 14 hours. 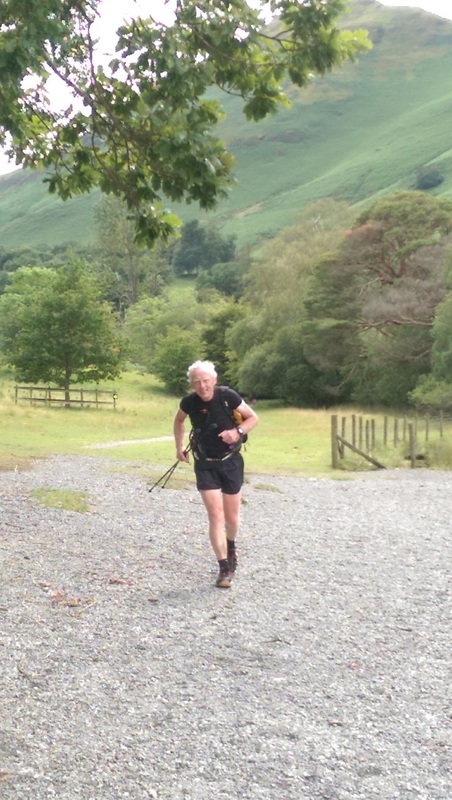 The long swim in the lake had allowed my legs to recover a bit and a jogged at a steady pace back into Keswick. Dodging the shoppers and tourists to be greeted by Marcus - 13 hours 57 minutes after my start. A truly satisfying day and a challenge I can recommend wholeheartedly! 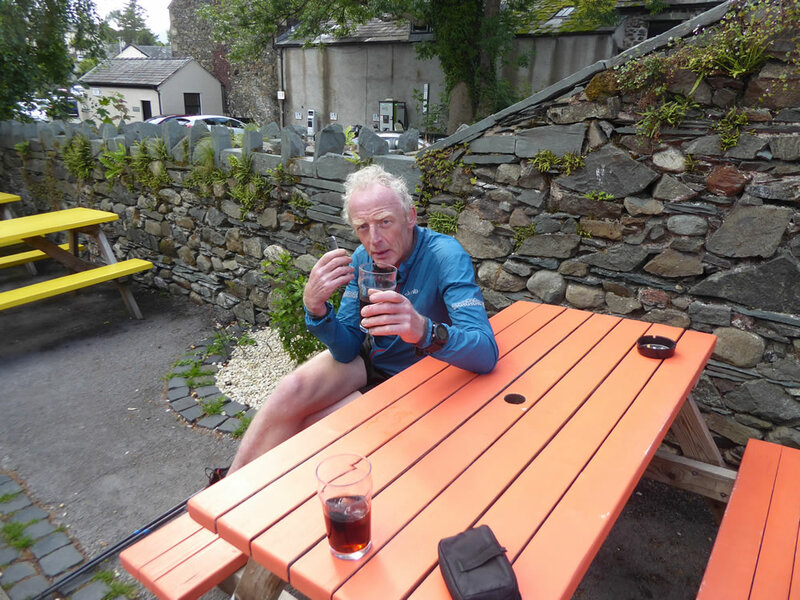 Thanks to Martyn Price for the GPX track and some hints and tips on route choices. 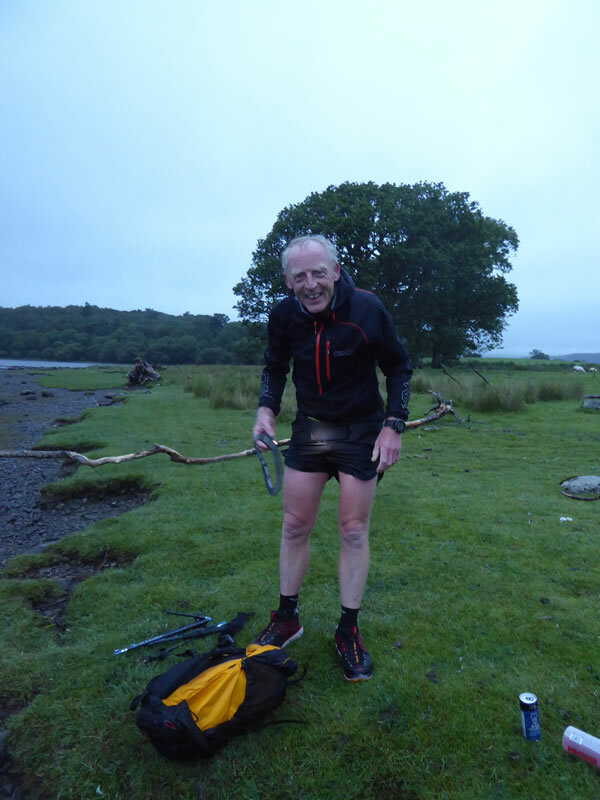 Thanks to Peter Hayes for devising such a great challenge! 5.15 am - Skiddaw done - now the first swim! 5.15 am - Skiddaw done - now the first swim! Wetsuit draining - now the 2nd leg! Wetsuit draining - now the 2nd leg! Near miss with a boat! Near miss with a boat! 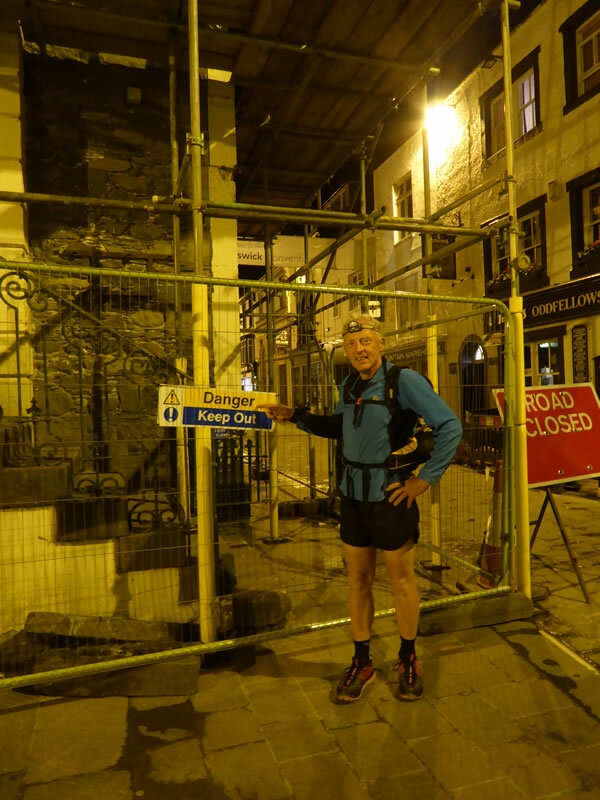 Rather worse for wear in Keswick! Rather worse for wear in Keswick! 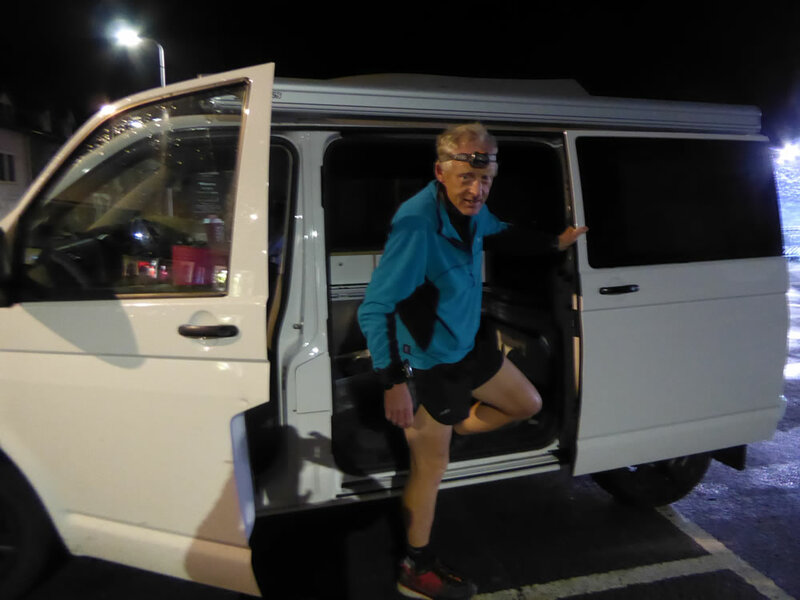 When you have completed a booking form and/or paid a deposit, you and all named persons on your booking form enter a contract with Trail Running Holidays (Abdet Holidays). We are a small family run business, your custom is very important to us and we will always do our very best to help you. But please do read our terms and conditions.